Spectacular Ocean Views!! 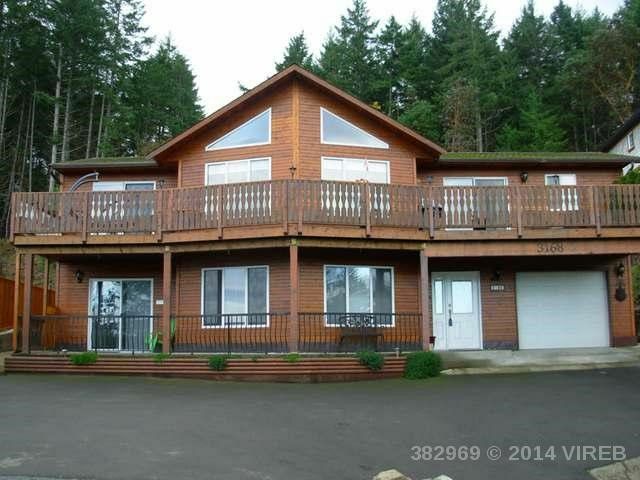 Take the opportunity to visit this lovely home in the Dolphin Beach neighbourhood of Nanoose Bay. The property, located within a 5 minute drive of Schooner Cove Marina, Fairwinds Golf Course and Moorecroft Regional Park, is also surrounded by a host of beautiful walking/hiking trails. The residence, both interior and exterior, have been maintained and developed to a very high level and the floor plan takes maximum advantage of ocean vistas. The interior allows for wonderful family living upstairs and is complemented if need be, with a separate entrance for a potential in-law suite for extended family. Or perhaps use that area for a cordoned off home business space. The back exterior is highlighted with matching greenhouse, garden shed and a very unique patio. The owners have used what nature has given and made beautiful use of natural rock making this a visually attractive yet low maintenance yard. Here's your chance for that ocean view.